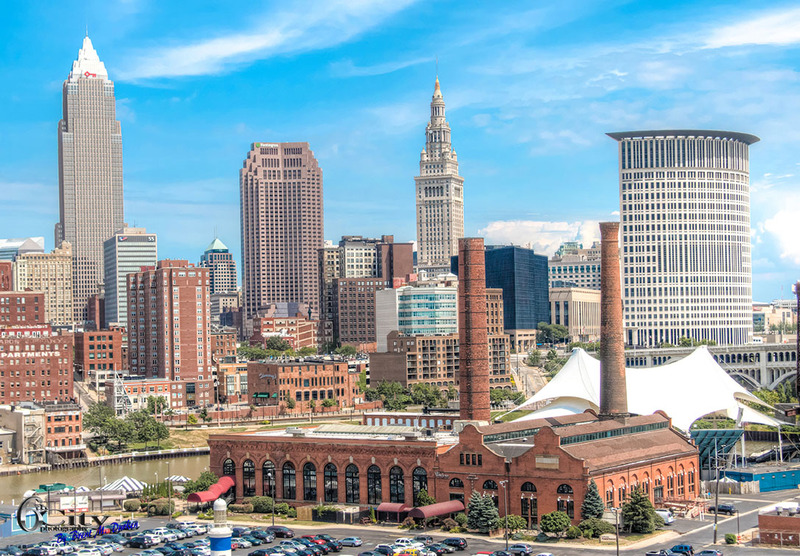 Today’s photo features the Powerhouse “Nautica Entertainment Complex” with the Cleveland skyline as a backdrop. 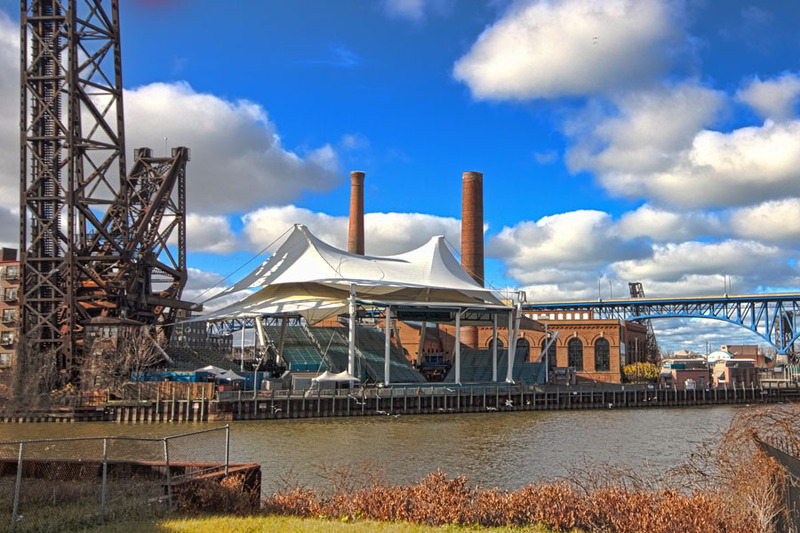 The Powerhouse was built in 1892 on the west bank of the Cuyahoga River by Marcus Hanna to power Cleveland’s west side streetcar lines. The powerhouse, which is now a National Historic Landmark was closed in 1920. Streetcars were being used less due to the rise of the automobile. Today the Nautica Entertainment Complex includes the Powerhouse and is home to the Greater Cleveland Aquarium, Windows on the River banquet facilities and Trolley Tours, the Sugar Warehouse with Shooters on the Water, the IMPROV Comedy Club and Restaurant, Great Lakes Watersports, Jacobs Pavilion, the Nautica Queen dining and cruise ship, and the Apartments at Nautica building with McCarthy’s Downtown. In today’s photo blog I wanted to share some photos from the Greater Cleveland Aquarium. If there is one place you should visit with your children over winter break this is it! I was fortunate enough to visit and photograph the aquarium last week and I was very impressed with it. Not only is it much larger than I expected but there are tons of things to see and do! You can pet rays or maybe even scuba dive with sharks! 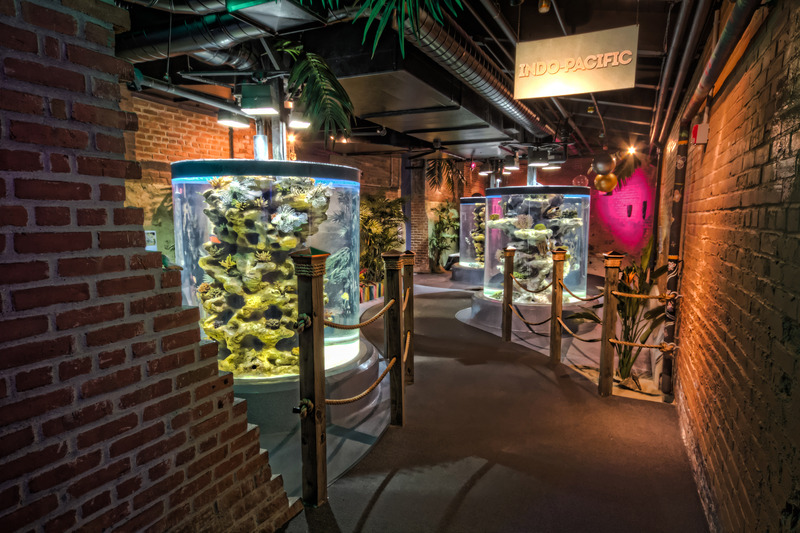 The aquarium itself is housed in the old powerhouse near the Nautica Entertainment Complex which includes the Windows on the River, Trolley Tours, the Sugar Warehouse with Shooters on the Water, the IMPROV Comedy Club and Restaurant, and Jacobs Pavilion. 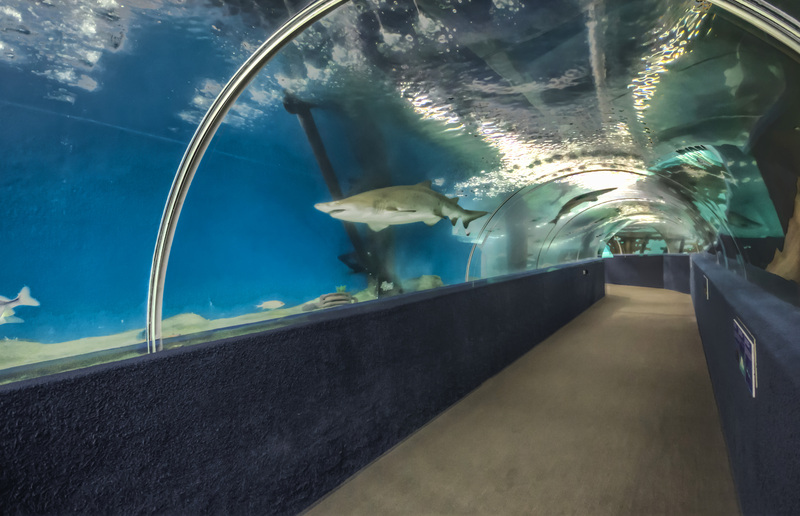 “Consider the Greater Cleveland Aquarium a portal; a portal that will take you all over the world without ever leaving Cleveland. Visit Australia, South America, Africa and the Indo-Pacific; discover aquatic life native to the lakes and rivers of Ohio, and exotic aquatic life native to the Red Sea, Eastern Asia, Indonesia, Fiji and Hawaii. Learn about our animals, how we care for them, when they eat, what they eat and the personalities each one has developed during their time spent here with us. 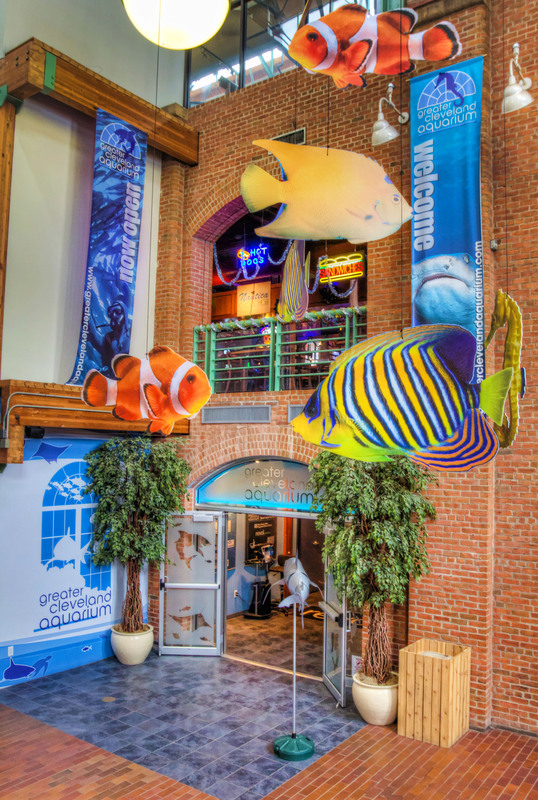 Located in The FirstEnergy Powerhouse, which is considered an historical building, the Greater Cleveland Aquarium spices up the old brick building with fresh colors and playful aquatic creatures with a fun and educational setting”.